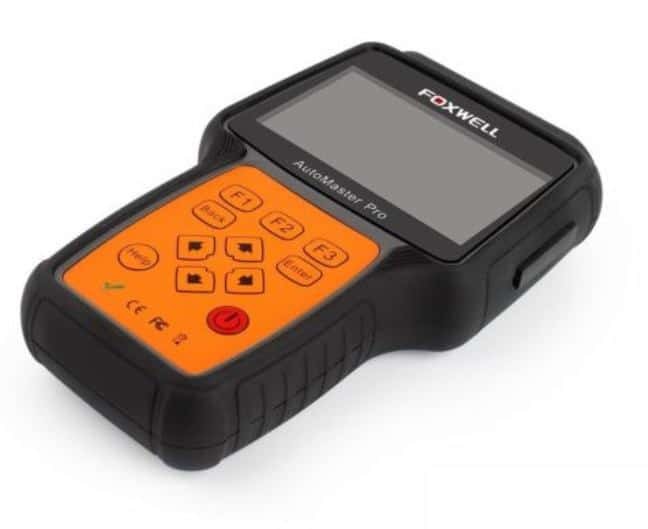 Foxwell NT624 Review – Surprisingly good, rare models supported. This is a reliable tool meant for diagnosing problems in your vehicle as well as suggesting potential causes. It's able to read the majority of common codes on a multitude of different types of vehicles. Consequently, you'll be able to decide what to do in order to fix the problem, without having to rely only on a mechanic. 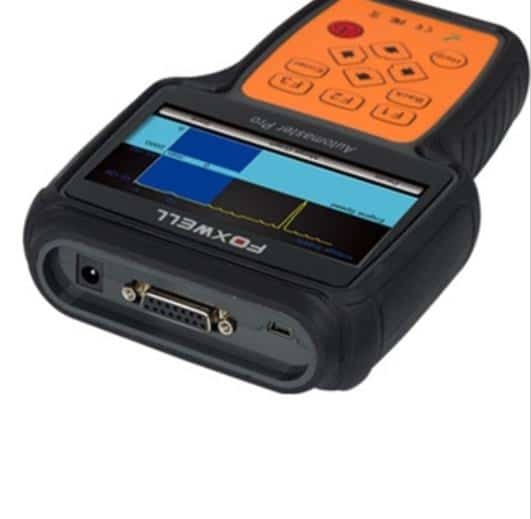 This is a handheld device, much like many other scanners on the market, but this one benefits from a wider screen to display more information. There are a lot of buttons on the bottom half of the device, and this may confuse some, but it is backed up by a lot of functionality and the buttons are pretty intuitive. They are also inbuilt in the device. The screen is in full color and is extremely easy to read. The device connects to your vehicle through a cable which also powers the device. This is an OBD2 scanner, so it is already compatible with a wide range of vehicles, but what really sets it apart is the extra compatibility with manufacturer-specific diagnostics. 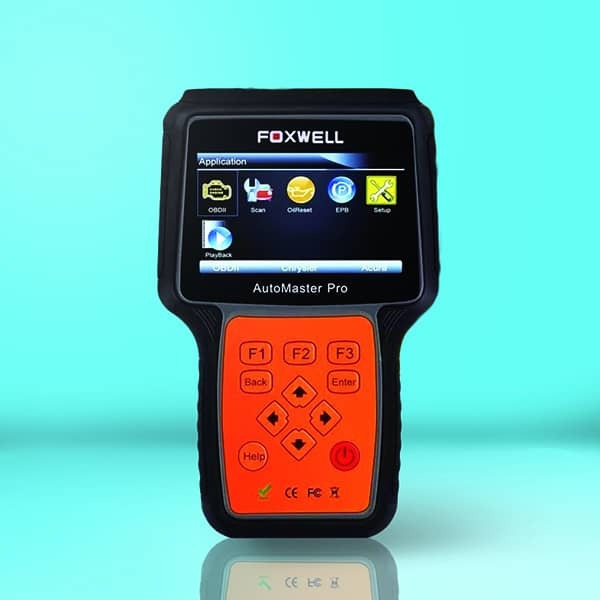 This scanner will read all of the common problem codes, and it will also read manufacturer protocols to further diagnose ABS, parking brakes, airbags, air conditioning, transmission problems, and oil levels and leaks. This device thrives on functionality. As well as the above, this scanner can monitor the electronic park brake, engine lights, steering angle sensors, power steering, automatic transmission, and immobilizer. You have the option of performing a full-system scan as soon as you hook this device up to your vehicle. 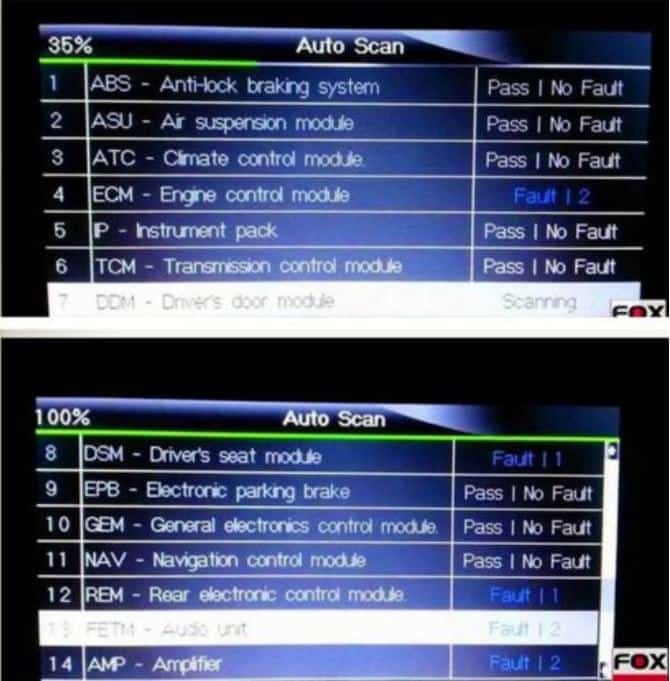 Everything in your vehicle which is diagnosable is immediately scanned, and any faults are sent back to the device to be cleared and interpreted. ​You can also clear these faults with a single click of a button. This scanner benefits from the large display. The screen is 4.3” and displays full color. You do not need to get in close to read the information as you may have to with other devices. The quality of the screen all makes it possible to display the data in ways which can be easily interpreted, such as in graphical form or in tables. The large screen also makes the interface easy to use and understand. Large and colorful icons are used so you never mistake where you are going or where you can go. ​Lifetime updates are available for this device, and for free. With so many new cars being released every year, and so many new codes becoming available, scanners can often quickly fall behind and become useless. This scanner receives regular updates, and they are easy to install. By using an SD card in your phone or computer, you can download the update and then transfer it to the device. This tool is very easy to use. The interface and display combined with the intuitive buttons to form a menu-driven interface which even the most basic users will appreciate. When you combine this ease of use with how fast the tool is, then you begin to see the real benefit to it. Your vehicle is scanned quickly, and the results are displayed almost instantaneously. With the press of a button, codes for the engine, transmission, ABS, electronics, heating, air, EPS, and parking brake are all read and displayed. There are no programming functions available with this device. Many new scanners allow you to change some of your car settings and program your vehicle, but this one lacks the feature. For the functionality you get, this device is on the higher end of the price spectrum. This is a great scanner and well worth the money, but there are other scanners out there which are equally as good and will not cost you as much money. There are some vehicles which are not compatible with this device, and it is recommended that you look into other user experiences before you purchase this scanner. You will also find that the customer service is not as strong as rival companies. This is a great all-around tool which will work quickly and diagnose any of your car problems. It is a reliable device which is compatible with most vehicles out there. What sets it apart from other devices is how easy it is to use. The screen is large and clear, the on-screen menus are easy to navigate, and the buttons are intuitive and relevant. This is a great tool for an amateur only just getting into the world of cars.